People desperately need pampering. Our crazy schedules necessitate time to slow down, breathe, and care for ourselves. So what better gift to give your loved ones this holiday season than a gift that will allow them to do just that? 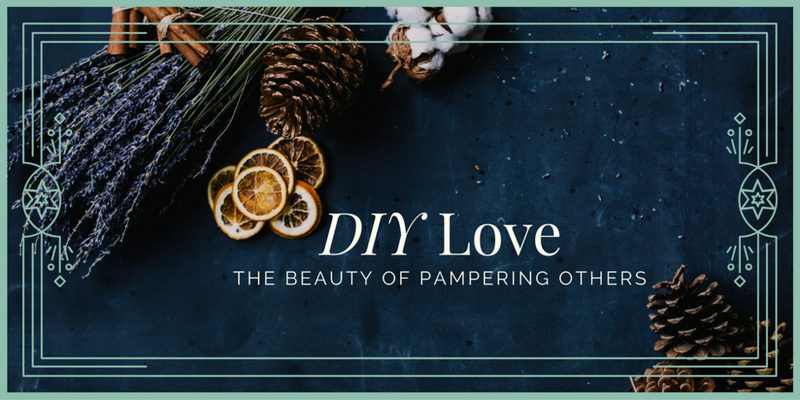 As I’ve developed Norabloom Botanicals, it has been with an eye towards making each product incredibly versatile, so here are three easy, effective DIY Beauty ideas for gifts you can make and give with love. Detox baths are one of the best ways to eliminate toxins and inflammation from our system, increase depleted magnesium levels for better mood and sleep, and just unwind. The key is to stay in the bath for at least 40 minutes—the first 20 to detoxify, and the last 20 to absorb magnesium. Mix ingredients in a large bowl, then place in a small mason jar. Tie with twine and create a cute, handmade label. Add a few sprigs of dried lavender. Healthy nail care is just as important as healthy skin. You can tell so much by someone’s overall health by the look of their nails. If you struggle with peeling, brittle nails, you will love this Vitamin Cuticle Treatment. There are so many lovely non-toxic nail polishes on the market that would make a great addition to this homemade cuticle treatment. Massage into cuticle at bedtime. Mix ingredients in a glass vial or rollerball. Tie with twine and create a cute, handmade label. Add a few sprigs of dried lavender. Full body exfoliation not only feels great, it's actually healthy for the body. As we age, the process of cell regeneration slows down. This means that the body is slower to shed skin cells and generate new ones. When old skin cells start to accumulate on the surface of the skin, it can leave skin looking dull, rough, and dry. Furthermore, the build-up of dead skin cells can result in excess oil and clogged pores, leading to blemishes and acne. Mix sugar and coconut oil with a mixer until it becomes a sand-like texture, then stir in tea, jojoba, and essential oils. Place in glass jars. Tie with twine and create a cute, handmade label. Add a few sprigs of dried lavender. Handmade treats make beautiful gifts! For more information and ideas visit Norabloom.com. Handmade treats make beautiful gifts! Holly Green is the zesty entrepreneur and owner of Norabloom Botanicals and Beauty Lounge. She is a skin care expert, esthetician, certified oncology esthetician, makeup artist, semi pro baker, & homemaker. She takes pride in the development and quality of her signature skin care line, Norabloom Botanicals. Holly loves sharing her simple, wholesome beauty routine and is thrilled that her small boutique brand is well received by her local community, many beauty editors and is quickly rising to the top. Connect with her on Instagram @norabloombotanicals.